Kernel's Library: Who Wouldn't Know of Sara Crewe? - This book is a revised and expanded version of Burnett's 1888 serialized novel entitled Sara Crewe: or, What happened at Miss Minchin's boarding school, which was published in St. Nicholas Magazine. 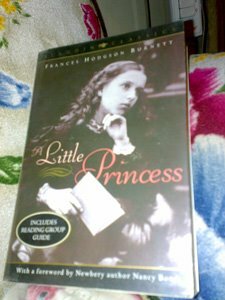 I will admit that, as a child, I liked all the Frances Hodgson Burnett books in my book collectiond. It is partially because the stories are with characters whom you could cry, be happy, and be excited with. In other words, you will sympathize with them. 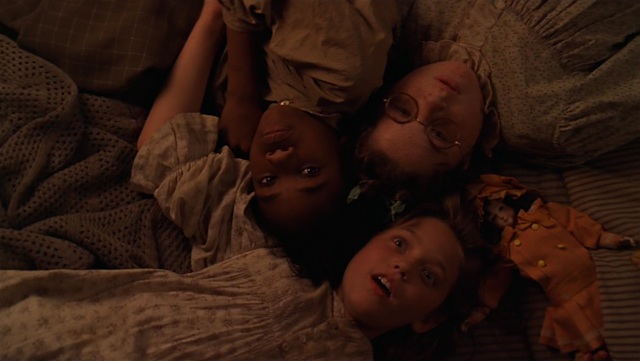 A Little Princess, in particular, is a story plagued with sorrow as Sara Crewe was lead to a very low life. The once rich and very well treated girl would soon become a laborer at an early age. Would she ever get out of this misery? 'Once on a dark winter's day, when the yellow fog hung so thick and heavy in the streets of London that the lamps were lighted and the shop windows blazed with gas as they do at night, an odd-looking little girl sat in a cap with her father and was driven rather slowly through the big thoroughfares. She was such a little girl that one did not expect to see such a look on her small face. It would have been an old look for a child of twelve, and Sara Crewe was only seven. The fact was, however, that she was always dreaming and thinking odd things and could not herself remember any time when she had not been thinking things about grown-up people and the world they belonged to. She felt as if she had lived a long, long time. At this moment she was remembering the voyage she had just made from India to England with her father, Captain Crewe…. "Papa," she said in a low, mysterious little voice which was almost a whisper, "papa." "What is it, darling?" Captain Crewe answered, holding her closer and looking down her face. "What is Sara thinking of?" "Is this the place?" Sara whispered, cuddling still closer to him. "Is it, papa?" Did you like it? Then I sugget you better grab a copy and start reading it!